How do you listen to music nowadays? Do you still buy CDs? (…did you ever buy CDs? I might be showing my age here…), download digital files, use a streaming service online? Did you ever wonder how exactly we got from the “good old days” of recording mixed tapes to having any song available at our fingertips? 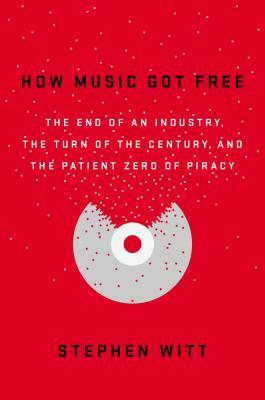 How Music Got Free: The End of an Industry, the Turn of the Century, and the Patient Zero of Piracy by Stephen Witt answers this question and more. From the invention of the MP3 format to the role of the music industury executives in the demise of their own business, this is a fascinating history of an industry turned on its head. Witt focuses on 3 individuals who couldn’t be more different, yet who each played a crucial role in changing how we access music. In Germany, an audio engineer, Karlheinz Brandenburg, and his team developed the MPEG3 data compression format and fought for its acceptance over rival formats, a largely political battle. When not adopted by the industry, the team released the MP3 format to the public as a free conversion tool and music player. In New York, Doug Morris, the CEO of Universal Music Group, was too concerned with signing the next big rap artist to pay much mind to the growing portable music revolution. Morris and other executives failed to grasp the significance of the MP3 format (and the piracy it enabled), leading eventually to a litigative nightmare and the downfall of the music industry as we knew it. Whether or not you were online in the heyday of Napster, this book tells a compelling tale about a fascinating part of our recent history. Other reviews: New York Times, The Guardian, Washington Post. I buy vinyl as does one of my daughters. Most come with mp3 downloads. Both my daughters buy CDs frequently. They are 18 and 20. They have had trouble losing music they have purchased through iTunes, etc. and feel more comfortable owning something physical for a backup. Of course, they also stream lots of music. A bit of everything.